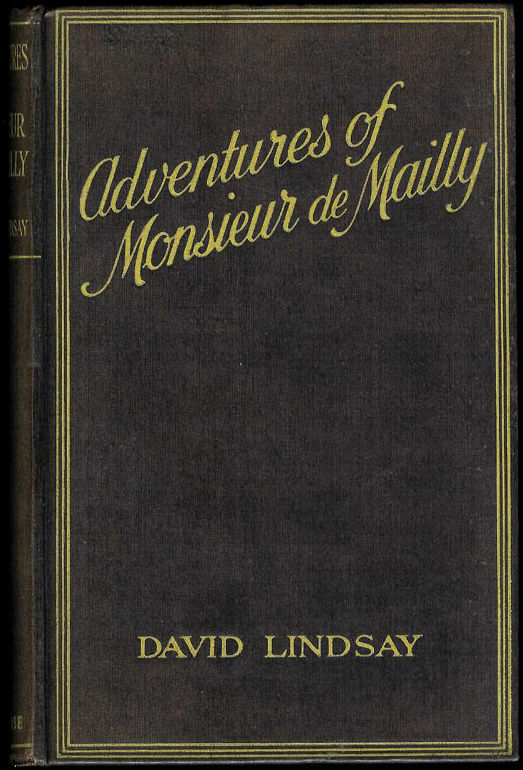 The Enterprises of Monsieur de Mailly, as it was originally titled, was finished somewhere between October 1922 and May 1923, while Lindsay was struggling with a never-finished work entitled The Ancient Tragedy (now lost, but thought to be a prototype Devil's Tor). 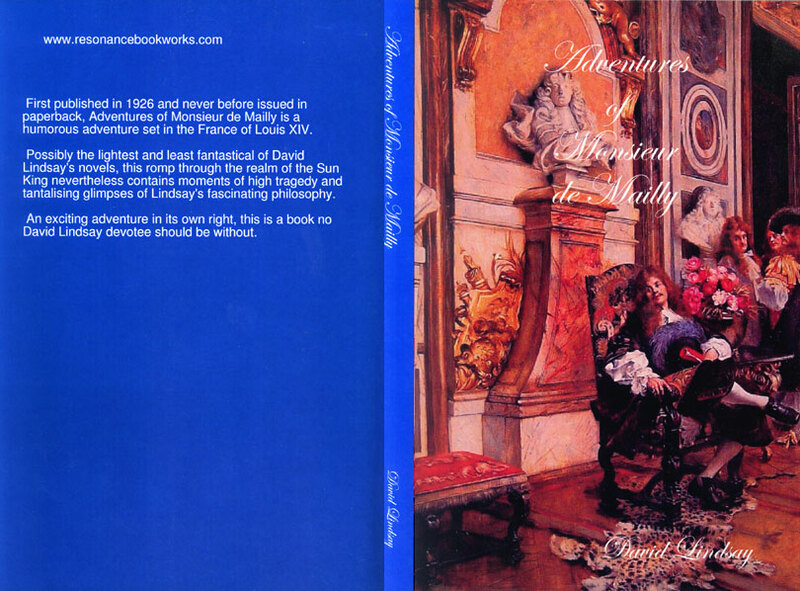 The Adventures of Monsieur de Mailly is a non-fantasy work inspired by some of Lindsay's favourite reading matter — memoirs of France in the 17th and 18th century — though it is in no sense a realistic novel. 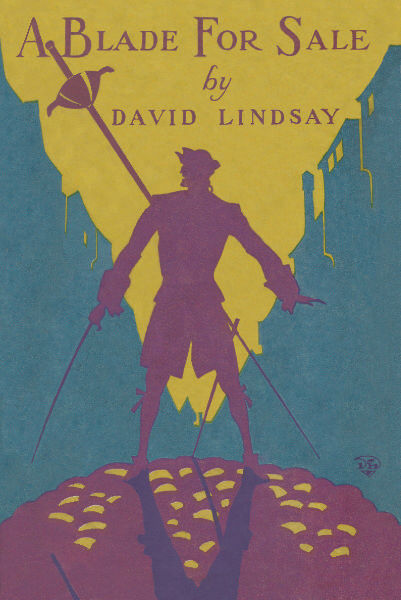 Rather, it is Lindsay's attempt at the sort of breathless adventure found in The Three Musketeers, and reads like it may well have been intended for serialisation. Melrose accepted it for publication in November 1925 and published it the following February. 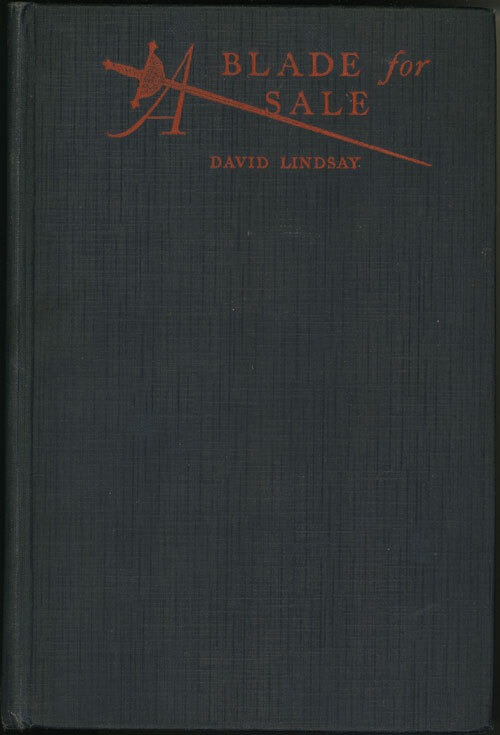 It was the first book of Lindsay's to be published in the US, where it was retitled A Blade for Sale. 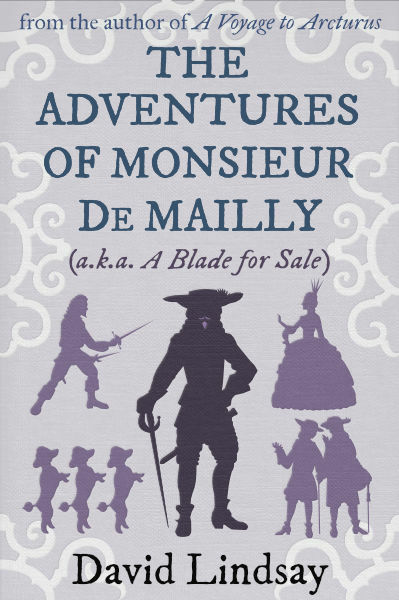 Monsieur de Mailly, an out-of-funds gentleman soldier in the France of King Louis XIV, engages in various plots and escapades to improve his position in the world. More detailed plot summary here. A contemporary review from the New York Times. I have uploaded scans of the first chapter of de Mailly to this site.